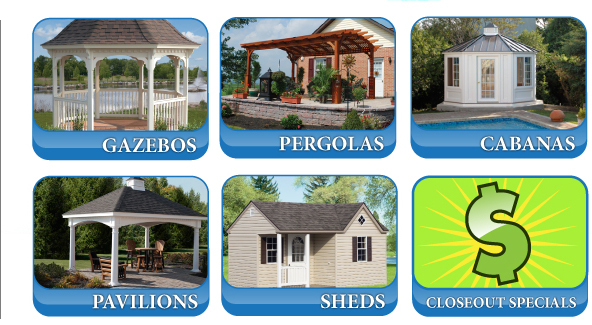 Best Built Barns is your one stop shop for gazebos, sheds, pergolas, and cabanas. We have the friendliest and most knowledgeable staff on hand and can cater to any of your needs. Best Built Barns can accommodate you with any of these products to help beautify your property as well as add value to your property. We are conveniently located on. Please call 631-244-9604 with any questions.